Are you a senior Human Resources professional with years of experience? Are you an executive HR representative? Frederickson Partners is here to help. With over 20 years of experience in HR consulting and career guidance, we are one of the foremost authorities on outplacement consulting, talent acquisition, human resource staffing, and have secured our top spot as one of the industry-leading human resources consulting firms in the United States. We want to put you in an environment where you'll excel, find success, and value every second of your career. You're already a professional, and you're already very good at what you do, so why would you need our help? Especially if you've never depended on the likes of a consulting company before? Simple -- there's a mountain of new data that suggests huge changes in the way H.R. firms are staffing themselves. A lot of it boils down to budgetary and performance issues. In an example, a study conducted recently found that structured onboarding procedures (like a placement by FPL) netted participating organizations talent which was, on average, 58% more likely to stick with the company after three years than those employees who were hired directly into the organization. It's a strange statistic, and it may seem counterintuitive, but the data is solid. It strongly implies that outplacement firms like FPL are more successful at combing through a given talent pool, eliminating the risky or unqualified candidates, and selecting the right people for the vacant positions. We aim to provide the same "perfect fit" to you, the client, as well. If you haven't yet thought of what kind of value human resources consulting firms like FPL can provide for you, consider the numbers. Even if you're a seasoned professional with all the know-how, firms are still shifting more towards structured onboarding initiatives each day. 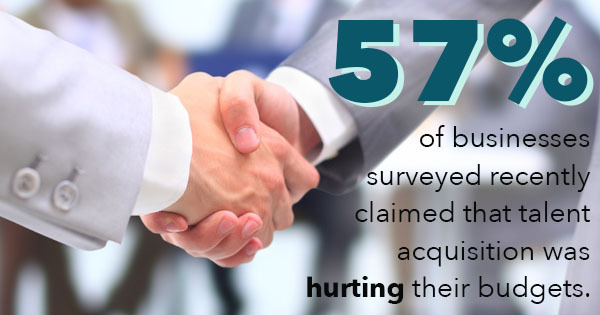 It's unavoidable; 57% of businesses surveyed recently claimed that talent acquisition was hurting their budgets. A bad hiring decision can cost them up to 150% as much money as a good one, because of extra training costs, onboarding costs, and more. Going through us is statistically more likely to net you a favorable relationship with your next employer than if you reached out to them on your own.